Black and white photograph of four-piece band. 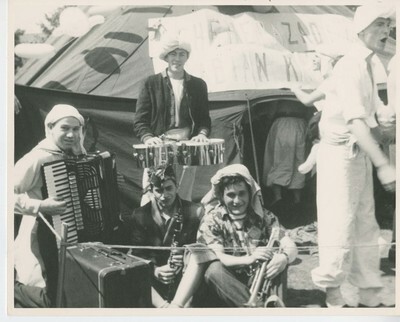 Photograph features four young men who play drums, accordion, clarinet and trumpet. Date unknown.